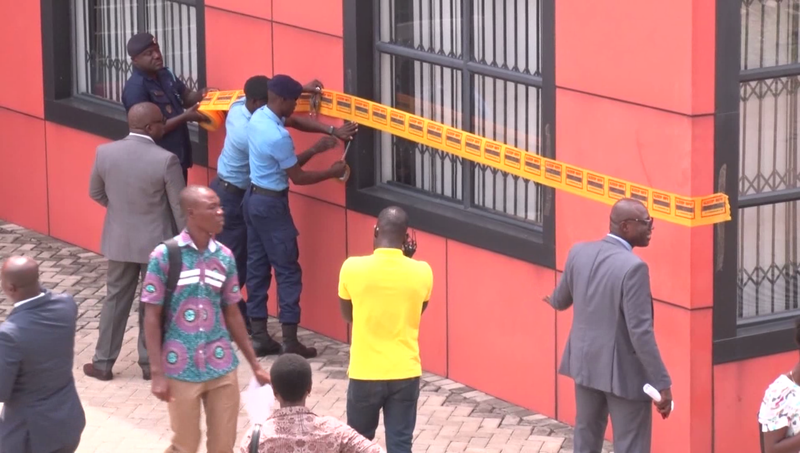 The Special Revenue mobilization taskforce of the Ghana Revenue Authority on Wednesday February 15, locked up PackPlus, an International Company that deals in air conditioners in Accra, for failing to pay over GHC 2.6 million of taxes owed government between 2013 and 2015. Management of the company have been given a 14-day ultimatum to liquidate the debt or the company’s properties will be auctioned to defray the debt. The company has between 2013 and 2015, evaded tax to the tune of two million, six hundred and seventy four Ghana cedis, and seventeen pesewas. Workers and officials of the company were driven out while the taskforce team cordoned off the building. The Coordinator of the taskforce, Henry Sam, disclosed to the media the company had earlier proposed a payment plan of a monthly commitment of 5,000 cedis, one the GRA could not accept as it would take up to over 50 years to defray the outstanding tax obligation. The Packplus International Limited has been given up to fourteen days to clear the outstanding taxes or risk an outright sale of its property by the GRA.